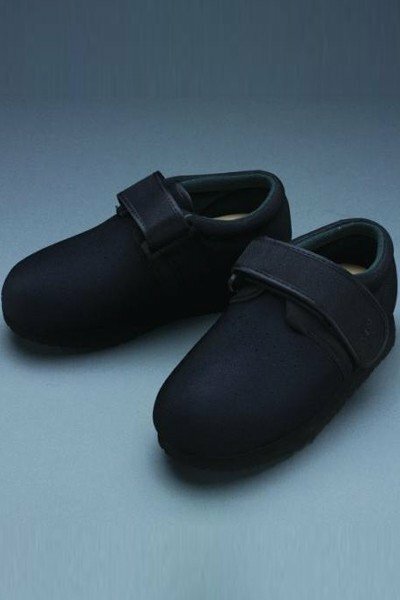 These hook & loop orthopedic shoes are specifically designed for people with diabetes and arthritis, but are also beneficial for people with corns, bunions, hammertoes, poor circulation or foot edema. These shoes feature a stretch Neoprene upper with adjustable closure for easy fitting and a full-length removable EVA insole for custom orthotic inserts. Machine wash in cold water, gentle cycle and rack dry only. Whole sizes only. Extra wide width.